Each week during National Bike Month, we will offer tips for maintaining your bike. There are times when we all need to take our bikes to a mechanic. Maybe you are in over your head, or don’t have the right specialized tool, or you just don’t have time to deal with the problem. And then there are times when you just need to tighten a screw, pump up your tires, or make some minor adjustment. In times like these, you don’t need a mechanic – what you need is a bike stand. 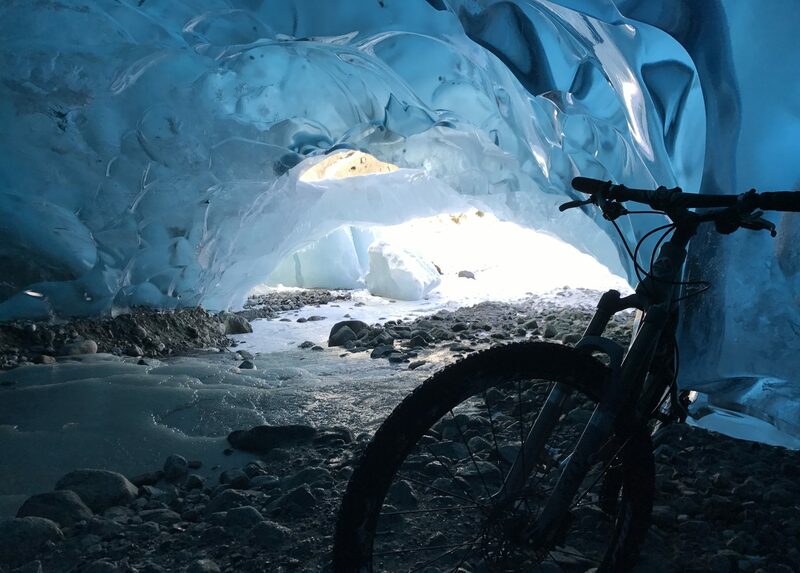 Cycle Alaska to the rescue! Juneau’s beloved bike shop has now installed a bike stand outside the shop for those occasions when you can easily do it yourself. An array of tools are connected to the stand, which suspends your bike from the saddle. A pump bolted to the ground nearby allows you to top off your air while you’re at it. Stop by and take a look at this great community resource! I have to say this bike stand is great. Very convinient to riders!